The theme this month for #BundtBakers is Secret Garden, and we were asked to bake bundts with flowers, herbs or summer vegetables as an ingredient or theme. I choose a flower I have never baked with before - lavender. 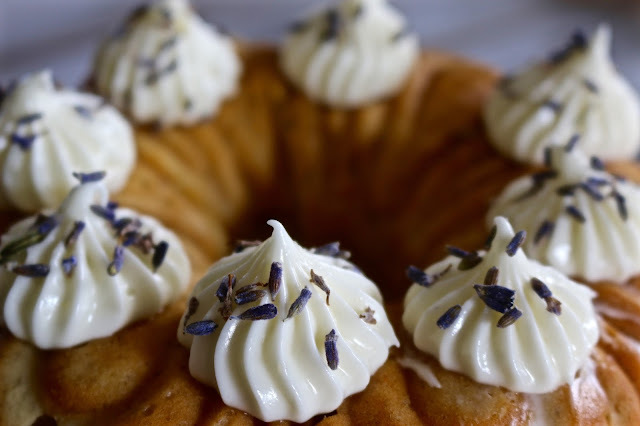 The idea for this cake actually came about from a recipe for a drink I happened to see - lavender lemonade - and of course I wanted to turn it into a cake. 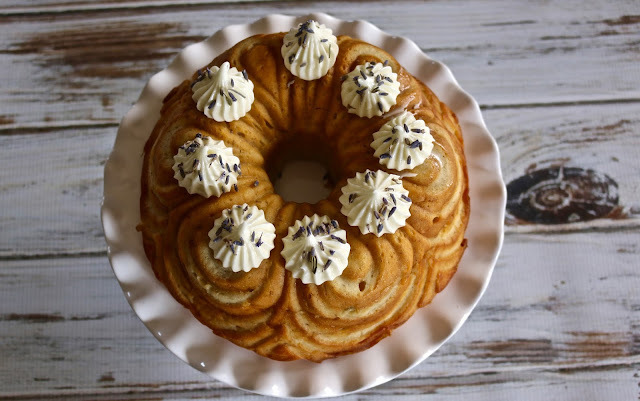 I also wanted to use lavender as we have a beautiful lavender farm on Maui called Ali'i Kula Lavender Farm, and thought it would be great to use something local. Unfortunately I looked everywhere on Oahu and even called the farm to ask whom they ship to, and still drew a blank. It was too cost prohibitive to order directly from them. 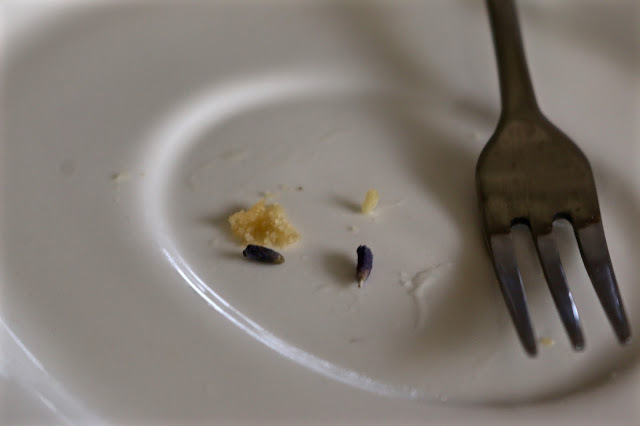 In the end I found culinary lavender at a health food store. I swear I followed the recipe as written, but I have to be honest and say that it did not turn out as well as I would have liked. The flavor was good, with a nice tang from the lemonade concentrate but the lavender was way too faint for my liking. There is such a delicate balance between lavender being a wonderful accent in baking or it coming out tasting like soap, but I definitely think this recipe needs more lavender. The other problem was how dense it was, and I knew I was in trouble when it shrunk after coming out of the pan. Honestly, I wondered if I would wake up to a pancake-shaped cake the following morning. Maybe there was some user error, but I won't know until I try making it again using the same recipe which I intend to do soon as the flavors show such promise and it was so easy to put together. 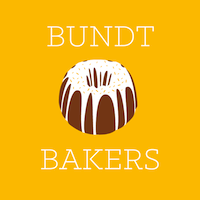 If you would like to know more about #BundtBakers and see what the other bakers made for the Secret Garden theme please scroll down below the recipe. Thank you to Sue from A Palatable Pastime for hosting this month. Remove 30 ml lemonade concentrate from can, and reserve for frosting. Combine remaining concentrate, cake mix, finely ground lavender, sour cream, cream cheese and eggs in a mixing bowl, beat at low speed with an electric mixer until moistened. Beat at high speed 3 minutes, stopping to scrape down sides. Spoon batter into bundt pan. Bake approximately 45 minutes or until a wooden pick inserted in center comes out clean. Cool in pan on a wire rack 5 minutes. Remove from pan and cool completely on wire rack. Once cool frost as desired. In a large bowl, beat together the butter and cream cheese with an electric mixer. With the mixer on low speed, add the powdered sugar a cup at a time until smooth and creamy. Beat in the lemonade concentrate. Oh I know that sinking feeling when you see a cake sinking. I've had a few re-do's because of it too. What a shame that the cake was not as fluffy and light as you had hoped but it looks like it must have been a success anyway as that empty plate implies. LOL loving that last photo. Sounds divine. These flavors are such a treat. I'm looking forward to making one soon. A big bummer about not being able to use the local lavender! I like the use of lemonade concentrate. 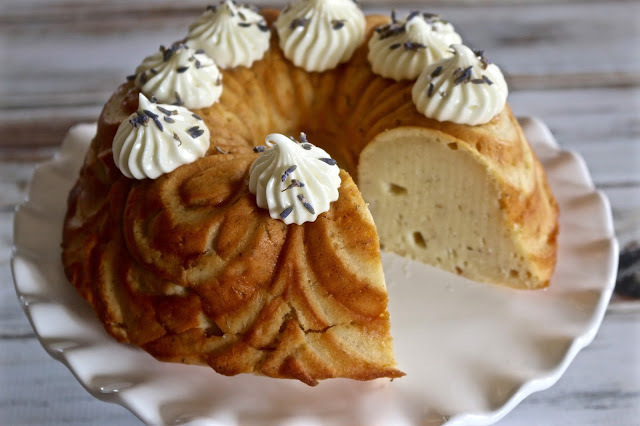 Lavender can be tricky to bake with, I've tried it before and found the flavouring a little to weak. 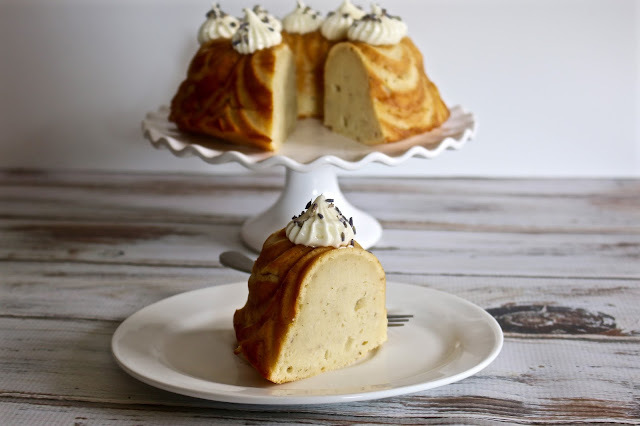 Your bundt cake is so pretty, I shall have to find that tin you used.